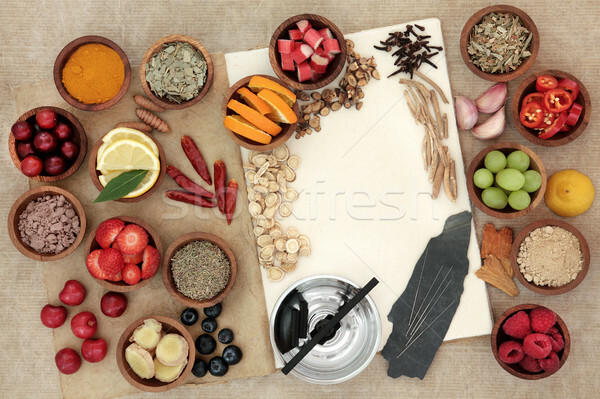 Stock photo: Alternative medicine for cold remedy with acupuncture needles and moxa sticks and fresh and dried food on hemp notebook background. High in antioxidants, anthocyanns minerals and vitamins. Online since November 19, 2016.